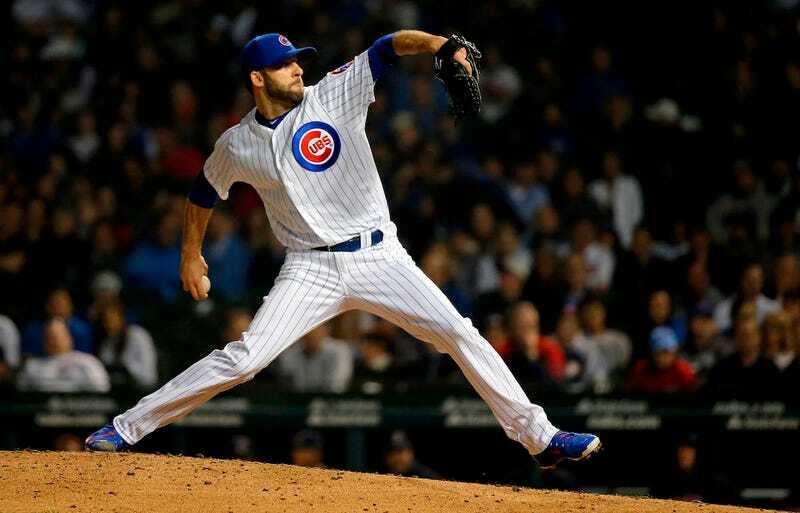 The Cubs didn’t use closer Brandon Morrow in either of their games Tuesday against the Dodgers, instead relying on a bevy of other relievers. He would’ve been really helpful in the first game, which the Cubs lost 4-3 after Justin Wilson blew a 3-2 lead in the ninth. According to the team, the reason Morrow wasn’t available was because he suffered a weird baseball injury that involved his pants. “It’s frustrating any time you can’t get out there, and especially when you can’t go because it’s something like taking your pants off,” Morrow said. It’s so true. At least he didn’t punch a wall.